Asus Zenfone Max Pro M1 6GB version gets listed on Flipkart which hints it might go on sale soon. The e-commerce company, however, hasn’t made the page live and its still under construction. The page source reveals the specs of the phone and it is the 6GB variant. Asus launched its popular mid-ranger Zenfone Max Pro M1 in India back in April as part of a strategic partnership with Flipkart. The smartphone was launched in two storage variants- 3GB RAM + 32GB storage and 4GB RAM + 64GB storage, but the company also confirmed that it would launch a 6GB RAM variant soon. Now, it seems the company is all set to launch the top variant soon. The page for the 6GB RAM variant has been seen on Flipkart which was first spotted by Smartprix. The 6GB RAM variant not only has more RAM but also comes with better cameras according to the page source. The smartphone will come with a price tag of Rs 14,999. If we talk about specs, the ZenFone Max Pro sports a 5.99-inch FHD+ (2160 x 1080 pixels) display with 18:9 aspect ratio. The phone is powered by Qualcomm Snapdragon 636 SoC with Adreno 509 GPU. It runs Android 8.1 Oreo with near stock experience. For imaging, the phone features a dual rear camera setup with a combination of 16MP primary sensor and a 5-megapixel secondary sensor. Up front, there will be a 16MP selfie camera, up from 8MP on the 3GB/4GB variants. For connectivity, the phone supports 4G VoLTE, WiFi, Bluetooth 4.2, dual-SIM, dedicated microSD card slot, GPS, and micro USB port. The phone features a 5000mAh battery with support for fast charging via a bundled 10W charger. 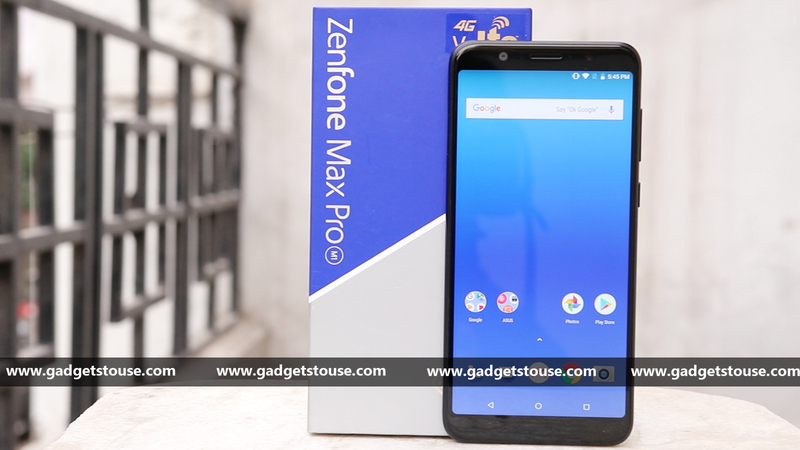 The ZenFone Max Pro M1 price in India starts at Rs 10,999 for the 3GB RAM variant. While the 4GB RAM variant is priced at Rs. 12,999. The 6GB RAM model will be priced at Rs 14,999.